Before bakers discovered the power of yeast, bread was made unleavened, which means it did not rise. While you may think of matzo when someone says unleavened bread, pita bread and tortillas are also unleavened bread products. In addition to adding variety to your diet, unleavened breads offer a number of health benefits. But be sure to include the whole-grain varieties to get the most benefit. Although their nutrition content varies, for the most part unleavened bread products are low in fat and calories and a good source of carbohydrates. For example, a 1/2-ounce serving of whole-wheat matzo is fat-free and has only 49 calories, 11 grams of carbs and 2 grams of protein. A small whole-wheat tortilla is higher in calories and fat but a better source of carbs and protein, with 127 calories, 4 grams of fat, 19 grams of carbs and 4 grams of protein in one tortilla. The whole-grain versions of unleavened bread are a good source of fiber, with 2 grams in a small pita or 1/2 ounce of matzo and 4 grams in the whole-wheat tortilla, meeting 8 percent and 16 percent of the daily value, respectively. Ninety percent of Americans don't get enough fiber in their diet, according to Helpguide.org. Fiber offers a number of health benefits that go beyond keeping you regular. Upping your intake by eating more whole-grain unleavened breads may also improve heart health, lower your risk of diabetes and make it easier for you to lose weight. Whole-grain unleavened breads can help you meet your daily B vitamin needs, including small amounts of riboflavin, pantothenic acid, niacin, folate, vitamin B-6 and thiamin. Each B vitamin has its own specific role in your body, but they also work to help you get energy from the food you eat. It's important to note, however, that unleavened bread is not a good source of vitamin B-12, which is only naturally found in animal products. Unleavened breads are also rich in manganese and selenium, which are two trace minerals that function as antioxidants in your body. A 4-inch whole-wheat pita and 1/2 ounce of matzo both meet more than 20 percent of the daily value for manganese. 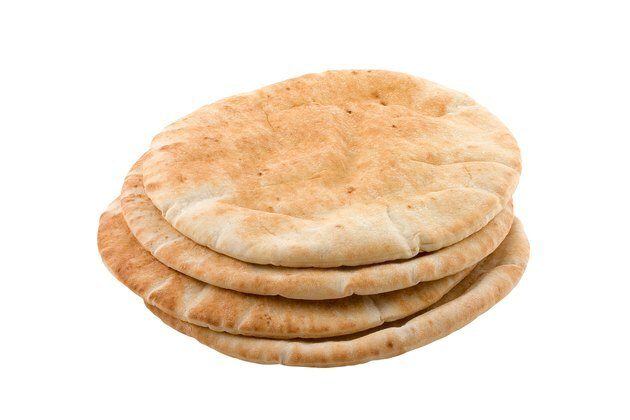 The same serving of pita also meets 18 percent of the daily value for selenium, while one whole-wheat tortilla meets 22 percent of the daily value. Antioxidants are substances that protect your cells from damage by chemicals known as free radicals. Reducing the damage may help delay aging and lower your risk of certain illnesses such as Alzheimer's disease, Parkinson's disease, diabetes and heart disease. What Are the Breads With the Lowest Carb Counts?